What is the best backpacking sleeping bag on the market? If you need the best backpacking sleeping bag to carry in your pack, and you're concerned with quality and budget at the same time, then you've come to the right place. On this page you will learn about my favorite backpacking sleeping bags in three different price levels. Part I: What information did we use to find the best backpacking sleeping bag? We Compared Sleeping Bags using Ratings for Temperature, Shape, and Insulation. There are several sleeping bag specifications that are important when choosing the best backpacking sleeping bag for your adventures. And based on your needs and desires, they should all be taken into careful consideration. These specs are not all listed out in plain sight though, you have to look for the info with a fine tooth comb, as it's sprinkled throughout the information on the box. Some questions to consider when choosing your perfect backpacking sleeping bag: where will your outdoor adventure take you? What are all possible temperature lows that you will encounter? (Make sure to check the weather). Do you have warm clothing to help keep the heat in? Will it rain? Are you sleeping outside or in a tent? Sleeping bag temperature ratings doesn't just end here though. Europe has developed a way of testing sleeping bags to determine the actual comfort level of a person when exposed to a certain temperature. This gives backpackers a true glimpse of which sleeping bags are the best backpacking sleeping bags. Shape is another rating that matters when picking out the best backpacking sleeping bag. Which shape is right for your trip? You know the saying: “it’s what’s on the inside that counts?”, well that also applies to sleeping bags. The insulation of a sleeping bag makes a big difference depending on the type of backpacking trip you're going on. Synthetic – Synthetic insides don’t absorb water, so it's more appropriate for wet conditions. 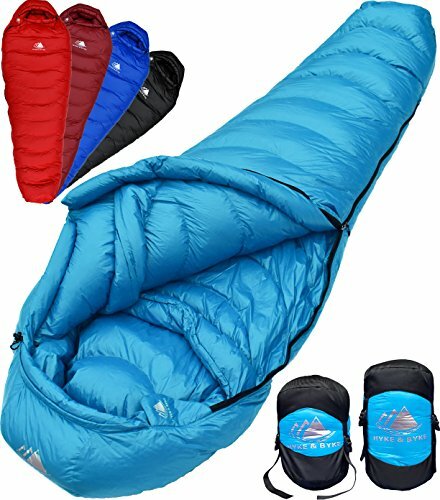 In the backpacker’s search for the ultimate sleeping bag, this may not be the best choice, as synthetic is a lot heavier and does not compress as well. Down – A little more pricier, but down sleeping bags are light and efficient. They are also very easy to compress and make compact, which is exactly what you want when searching for the best backpacking sleeping bag. Going backpacking is liberating and soul quenching. Nothing beats venturing off onto an unknown trail by yourself or with friends. If you're ready to go backpacking, keep reading to find out which sleeping bags are my favorite backpacking sleeping bags. I included temperature, shape, and insulation ratings and other pertinent information you'll need to make your decision. This sleeping bag is perfect for the backpacker who is looking to travel in warmer climates. It has a 40 – 65°F temperature rating, with an extreme temperature minimum of 32°F. Although insulated with polyester, a synthetic fabric, it still only weighs about four pounds. Some fun features about this bag is that it can fit even the tallest people, with a give for individuals taller than 6' (up to 6'6"). It's wide and cozy and even has a safe spot to store your keys and phone via an inner storage pocket, making this our first pick for the best backpacking sleeping bag. Another synthetic sleeping bag at a great price. It's an all around best backpacking sleeping bag that is compact, soft, and only weighs 2.87 lbs. That makes this sleeping bag great for backpacking in cooler temps, with a temperature rating of +20°F. For cooler nights, some extra clothing layers and a toasty tent will do the trick. I may have mentioned this sleeping bag in a previous post, but it is worth mentioning again. With this bag, you will pay a little bit more for a quality sleeping bag that is one of the best for backpacking. It comes with a lifetime warranty and is a sleeping bag that will last you a lifetime. You get a lot of important info about the bag just from the name, such as that it has an extreme limit of 15°F (worst case scenario). But note that the rating differs when talking about lower limits. This bag is rated 30°F, and comfort limit is rated at 50°F. Additionally, it is a down insulated bag, which means it will be lighter, so you can hike further. It comes in 3 sizes, short (2.89 lbs), regular (3.06 lbs), and long (3.24 lbs). 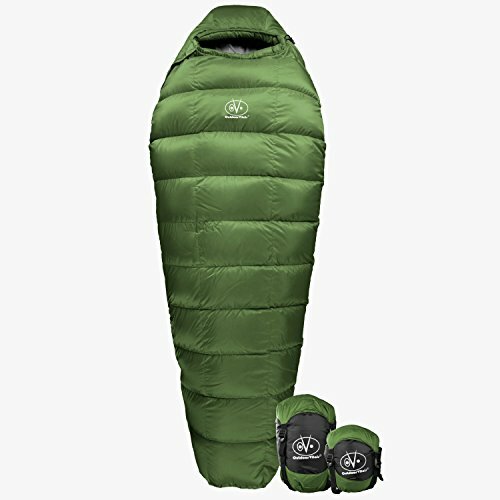 This sleeping bag also has the mummy shape, which means that it's built for maximized thermal retention. Additional specs I noticed include that it's water repellent, has wide shoulders, and a large footbox. It comes with a compression sack case for storage and comes in the colors light blue, bright red, vibrant purple, and a smokey gray. This sleeping bag has some really good ratings. 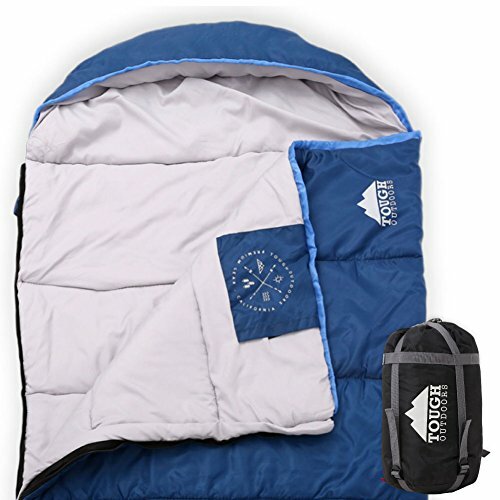 It is priced higher than the other ones I've mentioned, but you can expect that you pay for what you get and this sleeping bag is the best of the best even for your coldest backpacking journeys. It has a mummy design, it's certified 800 fill power duck down insulation and only weighs 2.12 lbs! With it's ultralight premium design, it can handle some of the lowest winter temperatures of even 0°F. You'll never feel limited in where or how far you can go with this sleeping bag. Not to mention it is ultra-tough and uses 20D ripstop fabric that shaves off weight while retaining “leather-like” resistance. It's innovative design repels water and distributes Down evenly throughout the bag (using grid baffles) so you have no cold spots and feel as dry as ever. That's why we chose the Outdoors Vitals as the best backpacking sleeping bag, our #1 choice. Backpacking Sleeping Bags: Which one is the best one? Which is the Best Backpacking Sleeping Bag for you? We provided you with the information you need, now it's up to you to decide! We wrote a detailed comparison of different backpacking sleeping bags and included information about their ratings, so that you can choose the best one for your needs and then get out and on your adventure! So which sleeping bag will you choose? Don’t waste anymore time, make a choice, gear up, and start planning your next multi-day journey in the mountains. We hope you enjoyed reading our review for the best backpacking sleeping bags. If you have any questions, feel free to leave them in the comments below.